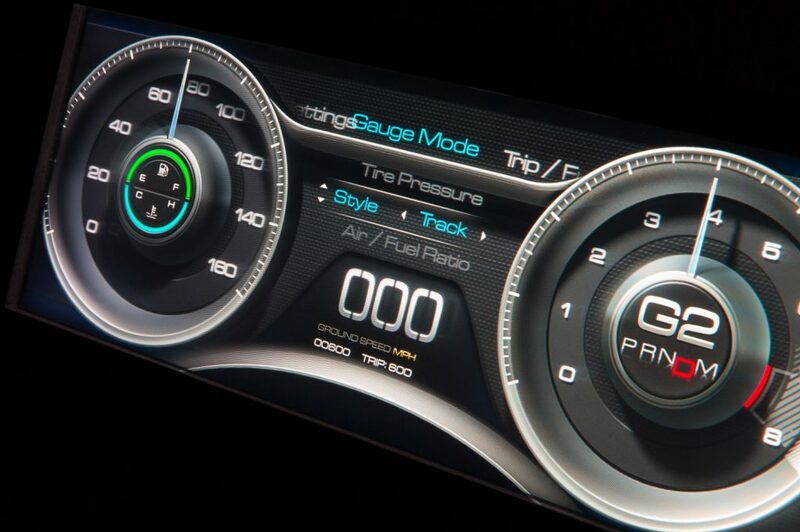 At next month’s Consumer Electronics Show in Las Vegas, Nevada, Delphi Automotive will be showing off a new bit of technology housed just behind the steering wheel of a Ford Mustang GT concept: a new digital, 3D instrument panel. The prototype 3D instrument panel came about from the combined efforts of Delphi and New Zealand-based company PureDepth. According to the Detroit Free Press, PureDepth has been responsible for the display software used on some modern slot machines with 3-dimensional displays. When Delphi started pondering the idea of a 3D instrument panel for automotive applications, the supplier knew to whom it should turn. The new 3D instrument panel from Delphi and PureDepth is intended to battle the headaches and eye-fatigue that can come with reading conventional instrumentation, beside attracting customers with its undeniable novelty. Still, we can’t help but feel it might be a solution in search of a problem – or worse, one which exacerbates the nuisance it’s seeking to cure. Next story What, Exactly, Is Ford’s ‘Smart Mobility’ Plan?